Kedarnath, which stars Sushant Singh Rajput and debutante Sara Ali Khan, has been at the center of a legal mess since its co-producers Prernaa and Abhishek Kapoor, called off their deal owing to multiple differences. Kedarnath was earlier being produced by KriArj Entertainment. 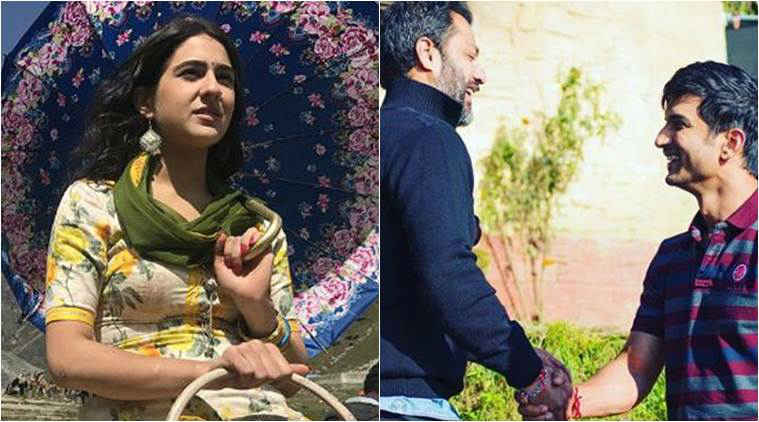 Director Abhishek Kapoor, who had a falling out with the producers of “Kedarnath”, has started the second schedule of the film’s shooting. Kapoor shared a small video of a ‘puja’ on Wednesday to announce the news on Instagram. “The journey continues. Schedule two underway. ‘Kedarnath’, jai bhole nath. Sushant Singh Rajput, Sara Ali Khan,” he posted on his Instagram account. Kedarnath will launch actor Saif Ali Khan’s daughter Sara Ali Khan. Kedarnath, which stars Sushant Singh Rajput and debutante Sara Ali Khan, has been at the center of a legal mess since its co-producers Prernaa and Abhishek Kapoor, who is also the film’s director, announced last week they had called off their deal owing to multiple differences. While Prernaa’s KriArj Entertainment has blamed Abhishek of unprofessional behavior, the latter accused KriArj of default in payments and lack of transparency. A few days ago, KriArj announced it was moving High Court to reinforce its rights on the film, whose last schedule is yet to be shot. Recently at an event, Prernaa was asked about the progress of the film and the legal row it finds itself in. “Everything will be taken care of. We are seeking justice from high court. The intention is to come together and make the film… Yes, we are still associated with Kedarnath,” she said. The film is scheduled for January release next year.